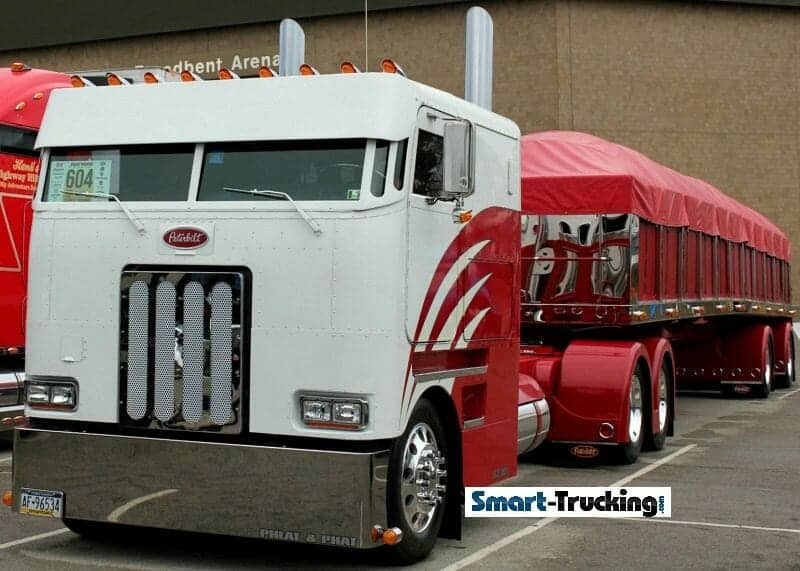 There’s no doubt that Peterbilt trucks are THE most popular of all big rigs. 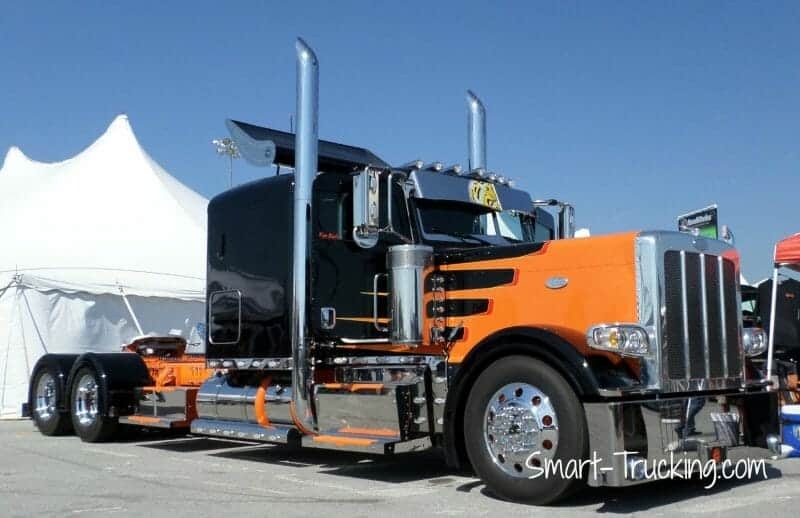 The ‘Pete’ name rings loud and clear, to all truckers. Even folks that don’t know a thing about trucking or trucks, are familiar with the brand name, Peterbilt. Peterbilts do the job and they do it right…… and they do it looking good. Most any of the Class 8 will do the job too…. that’s a given. But a Pete offers more than just getting the job done. It also offers class and style. A Pete stands out in a crowd. Good looks, solid construction and comfort, comes with a hefty price tag. If you want the best, be prepared to pay for it…. these babies don’t come cheap. 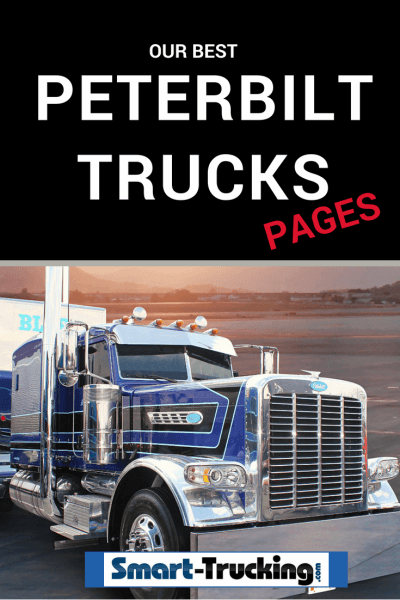 Petes, as they are affectionately called, are a superior, well-made big truck, built for all kinds of trucking. 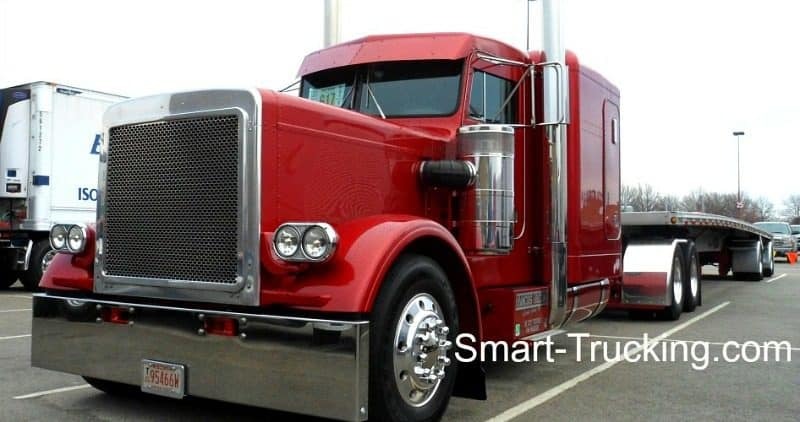 They are especially popular for long haul trucking, because of their superior comfort, reliability and weight class….. they are a top choice for the owner operator. 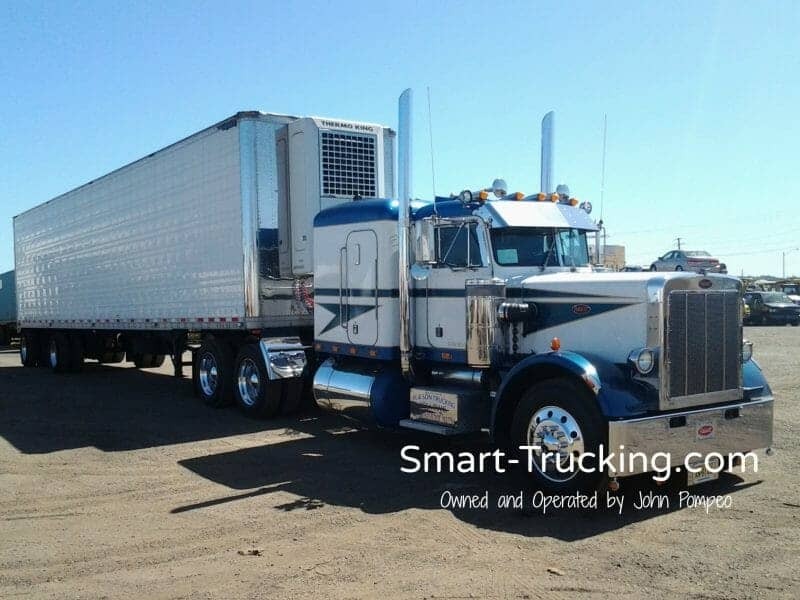 A Peterbilt truck has a very distinct look, among big rig trucks……they’re classic, well-defined profile and big on good looks. Affectionately known as ‘PeterCars’, these awesome machines are certainly in a class of their own. 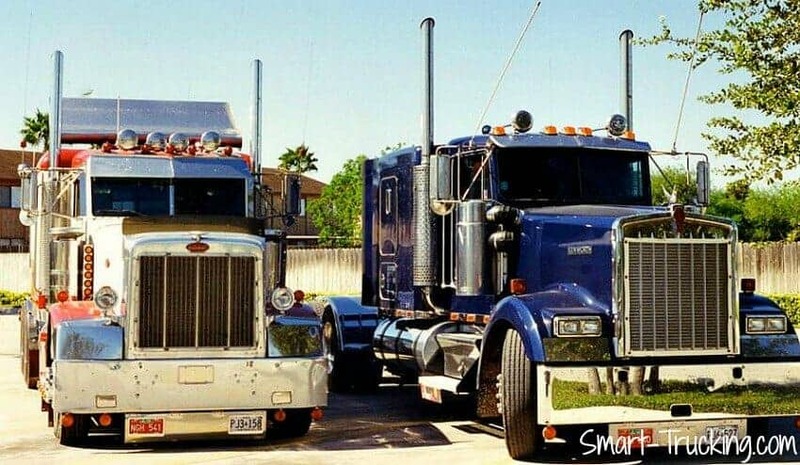 Although I may be a little biased when it comes to big rig truck models, it cannot be argued that these trucks have a great classic look that have stood the test of time. Even used Peterbilts, 10-20 years old, still have that awesome silhouette, that Pete lovers long for. 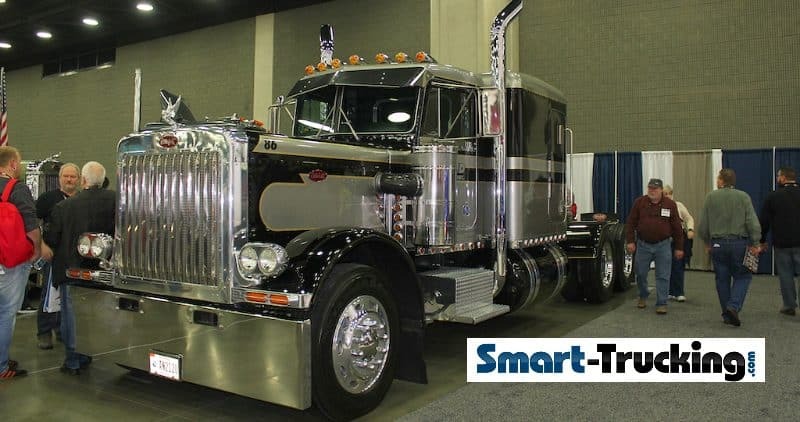 These rigs are known for their clean, slick, long lean appearance……..a quality many truckers long for when purchasing a truck, particularly the owner-operator crowd. Petes do make great long haul trucks, as I speak from personal experience. They are still popular at truck shows too, especially the older models. The Classic 359 Model Photo gallery of this treasured vintage style truck. The 379 Photo Gallery Collection of an industry icon model. The Cabover Peterbilt Gallery of this old school cabover.